The neurosurgery ward at Mulago Hospital. Photo by Kelsey Graywill. In partnership with Duke Global Neurosurgery and Neuroscience (DGNN) and the infection control subgroup of my Bass Connections team, I spent part of last summer seeking to promote sustainability and usage feasibility in our team’s continuing hand sanitization initiative in the neurosurgery ward at Mulago National Referral Hospital in Kampala, Uganda. After analyzing compliance data from 2016 regarding the usage of newly installed hand sanitizer pumps, we collaborated with the ward staff to integrate bedside and mobile pumps in the ward at maximally accessible and visible locations. We were excited to find that the bedside pumps, mounted at the foot of each patient bed, were the most effective at increasing hand sanitizer usage among staff and family members. Transitioning from our cheap bedside prototypes to stronger, more permanent pumps was a pricey investment for DGNN, but this strong data convinced us to purchase more permanent pump models as we continued exploring more sustainable models. However, upon returning to MNRH this summer, I quickly realized this summer’s project would be much different than I had originally expected. When we arrived on the ward, every single bedside pump had disappeared. Our surprise was met with shifty responses from the ward staff regarding where the pumps had gone. Eventually, we learned staff from other wards were gradually taking the pumps for their own use, but that didn’t explain why no one told us this was an issue when it was happening. 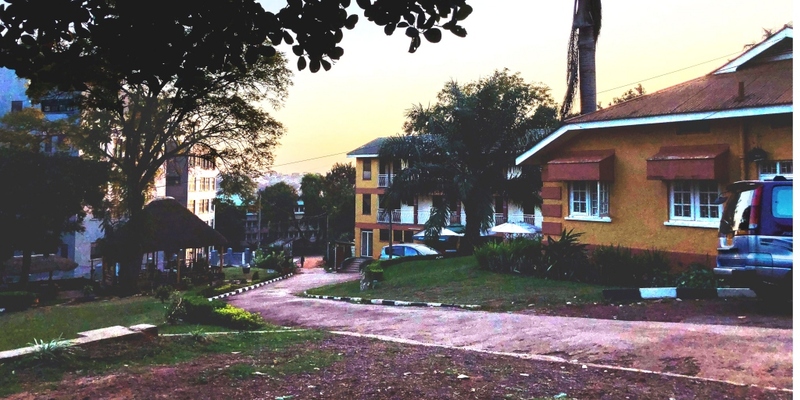 The neurosurgery ward at Mulago Hospital, from the outside. Tony Fuller, one of the faculty leaders of our Bass Connections team, pressed our concerns to the staff, who eventually admitted that they didn’t see the bed pumps as effective to begin with, even suggesting alternative interventions to replace the missing equipment. We were shocked. We had significant data, both quantitative and qualitative, that concluded exactly the opposite. If our efforts and funding produced unused results, how could we move forward effectively to continue reducing infection rates? Through reflection, revisiting the literature and engaging in many, many conversations with staff and Tony, I decided to shift my point of view. Perhaps providing tools such as bedside sanitizer pumps to address something that our team understood to be an issue ultimately produced a Westernized intervention and outcome. Though I still stand by the efficacy of our project in terms of the improvement in hand hygiene, what good is an intervention if it is not used? A shift in perspective meant that we had to consider a different approach: What if the staff diagnosed the problem and made the intervention themselves? 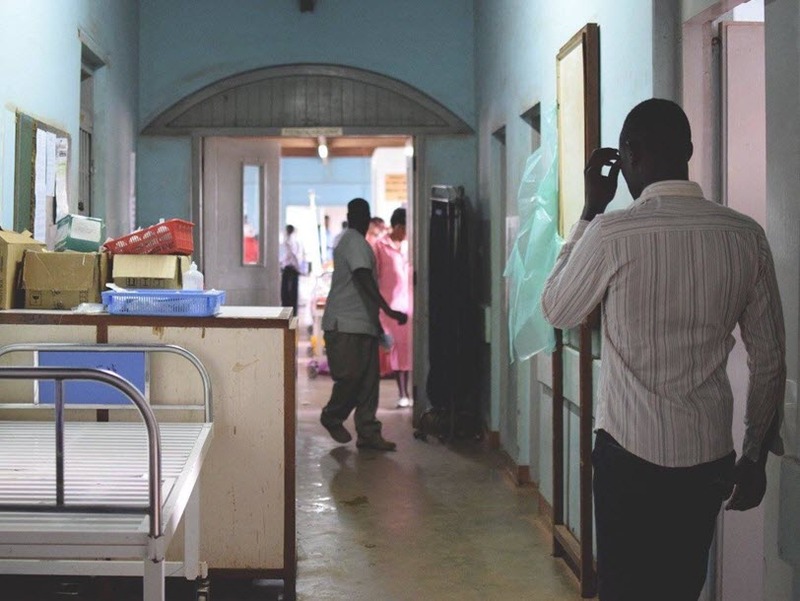 Slowly this idea emerged through these conversations and reflections, and for the majority of my time in Uganda, I continued developing this idea, considering how I might empower the ward staff themselves to both design and implement their own intervention around infection control. After presenting this concept to the ward, many staff (from nurses to surgeons to cleaning staff) were eager to participate. Thus, we formed the MNRH Neurosurgery Infection Control Team (NICT). Working with Tony and our local correspondents, I developed sequential meeting agendas that led the team through the project development process, from brainstorming targets to finalizing data collection plans. Each agenda is uploaded to an online file, which allows Tony and I to see the responses, provide aid where needed and offer other support to help MNRH staff actualize their goals. Once their plans are set, the local observer we hired will collect onsite data for the NICT’s intervention. We can then help the NICT analyze and interpret the results of their new protocols. Each development in this process further clarified the end goal, leading me to an overarching question for my thesis: Is forming and supporting a local, team-based structure to design and execute an infection control protocol from within the neurosurgery ward an effective way to reduce infection and improve compliance to good infection control practices? I anticipate that this emic approach, maximizing the input and perspective of local stakeholders, will help ensure the protocol is maximally appropriate for the setting and respectful of its limitations. This past summer, I discovered that my previous project and experiences in Uganda contextualized how interventions may function in the ward. I am thrilled to continue working with the ward this year in the hopes that the dynamics within and outcomes from the NICT may inform future infection control collaborations in low- and middle-income country contexts. Explore this 2017-18 project team, and learn what the team is doing this year. Consider applying to a Bass Connections project team. This post was originally published on the Bass Connections website.